though once I consult the note on the envelope all might be revealed. smaller and functioning well with the aid of medication. she could not even go to the funeral. I have reservations about this day. It stirs up mixed feelings. to send money, she said. obliged to honour our mothers whether we want to or not. else dictates that I should honour my mother. My mother with one of her babies. I’ve yet to ask if she recognises this one. It could be me. For years I’ve been on the hunt for a baby photo of me. It’s not easy. This photo is poorly focussed and given my mother has had so many children, she must identify each by extraneous variables – the location of the photo, the dress she’s wearing, the time of year. small gift, but thereafter the day was as any other. in relation to my own mother. My mother has urged us not to bother on Mother’s Day and yet underneath I sense her desire that we do so. the exterocet was Internet speak for white space. Terrifying white space. No one had been there yet. It was the equivalent of hell. there’s meaning there, if only I can unpick it. On Valentine's Day, my second son gave me a rose and cooked salmon and did a very nice dinner serving for me. It was totally unexpected. The day is a good reason for a family get together, which is what we are doing. I am inclined to take people at their word when the say 'don't make a fuss'. My partner is not and makes a fuss and invariably it turns out well and is appreciated. Exterocet must be where you go after you have seen the last page of world wide web, which is only possible in dreams and fantasies. Everything about Mother's Day is secretive, I think, and not in a good way. I secretly hate Mother's Day and I secretly hope for a perfect one, too, and I secretly hate myself for wanting that. Well, now the secrets are out, I guess. My mother is a huge advocate of Mothers' Day, but NOT of flowers (she's most allergic) or gifts. It has to be a home-made card or a visit or a phone call. Easy enough to do. Now that my own kid is twelve, I do find myself wondering if I'll 'get' anything tomorrow. I'm torn between hoping that she's written me a card and that the day is ignored and she doesn't feel commercially compelled to do anything at all. Here in the UK we celebrate 'Mothering Sunday' it falls in the middle of Lent (so changes each year) and was observed originally by servants who were permitted to go home on that day because they would be needed by their employers on Easter Sunday. The servants would be permitted to bake Simnel Cakes – and these were taken home as gifts. I can cope with that day because it is traditional. I am not a fan of commercialism and resent all this unnecessary pressure to spend money on items not needed. My own mother died 12 years ago but I like to think that during her life I honoured her by being her friend and supporting her through difficult times. I agree that commercialism has a lot to answer for. Christmas, Mother's & Father's day and a new one that I find quite disturbing is Easter. Apparantly parents now buy their children gifts (not just chocolate) and have numerous parties over the long weekend. I am really curious (and a little disturbed) to know just what explanations are given for this new practice (trend?). Easter? Bacchanalia? Paganism? Animism? Oestros? Can anyone enlighten me? My mother and I share our birthdays one day apart – and in May. I was always told I was double the joy, having arrived in time for my Mother to celebrate Mother's Day and her birthday on the same day. The down-side is (yes, there is a down-side) that our children think my husband and I have plotted a double coup expecting to be feted twice, as his birthday also falls in the same month as Father's day. I don't particularly mind certain dates/days set aside for things as often it can help to focus us on something we always mean to do but never quite get around to (commercialism aside). I've never been too enthused about the commercialism involved. All those advertisements telling liitle kids to show their love for Mum by buying items costing hundreds of dollars. As a day for getting together as a family with a card or maybe a small gift, box of chocolates, it's wonderful. for some reason, i thought last sunday was mother's day. i was out walking, and my son called me. we had a nice chat, and then i said, so…is there any special reason youre calling me, and he said, no, mum, just wanted to chat. i said, did you know it's mother's day? and he stammered and got all embarrassed and said no. and i said it doesnt matter to me (liar, liar pants on fire)–it's just lovely to talk to you. when i got home i looked on the calendar and it realized what i had done. i was already feeling like a complete jerk and a horrible mother for ruining a genuine heart-felt gesture of him calling just to chat. if possible, i felt even worse. i emailed him what an idiot i was, and he was very gracious–said he had a whole week, then, to get his act together. do you suppose there's an appropriate greeting card for "Bad Mother's Day"? My daughter doesn’t celebrate Father’s Day. I have never talked to her about it. I suspect—although I have no evidence to substantiate my supposition—that this is because she lived for years—twelve or thirteen years anyway (I forget when my first wife remarried)—with another man (once my best friend—now thereby hangs a tail) whom she called ‘Dad’. I have wondered—and then dismissed my wonderment before it got a grip of me—whether she ever gave him a Father’s Day card. Logic suggests that as a little girl her schoolteachers would have encouraged an activity like that—I do remember being instructed to make cards at Primary School although I don’t recall a Father’s Day card specifically—and as she only saw me fortnightly it’s most likely that he was the beneficiary of her efforts. When I remarried I refused to let my step kids address me as ‘Dad’; they called me ‘Jimmy’ which is what my family have always called me and what Carrie calls me. I have no problems being called ‘Jim’ but there is a side of me that feels like he’s a front. I don’t recall what happened with Mother’s Days and Father’s Days when I was a kid. I don’t remember remembering them. My family has never been much into stuff like that. Mother’s Day here in the UK is in March by the way, the fourth Sunday of Lent. I find it odd that in Australia you’d opt for the American date. I dislike all official gift-giving days. I like the idea of giving gifts and, as I may have mentioned in the past, have a tendency to go overboard so much so that my daughter has instructed me: One gift for each person from now on. Gifts should be given because you’re moved to give not because you feel a duty to do so. For as much as I’m a great believer in doing ones duty there are times when one can do it for the wrong reason. I’ve still not bought my daughter her present for this year and we’re about four weeks away from the joint celebration we have agreed to have from now on. I’m finding the restriction burdensome. How can I possibly find one thing that will embody how I feel? I don’t know what I’m going to do. I’m the guy who used to start buying Christmas presents in March. Holidays and celebrations are only as much or as little as family dynamic makes of them. One of my daughters manages a very successful restaurant. She'll call. The other will be the queen bee expecting love and adoration from her children all day. She may call and express some commercial sentiment. They both believe in themselves and it's all OK with me. dinner. It's my way of celebrating the joy of having all these delightful people in my life. It's far more rewarding then feeding my pets, birds and squirrels! Not a day I cared for as a child, even an adult child. My mother's dead now so the issue is moot. Except where my own kids are concerned. I get phone calls on the appointed day just because they do love me, unlike my own feelings for my own mother whom I did not like very much and held any love I might have had for her in abeyance. She was a selfish self centered woman and I could expect no real affection or even interest in my life in return from her. Our jobs, as children, my sister, my brother, and I, was to glorify her. I've never wanted or demanded that from my own kids who I adore. No gifts or flowers or simpering emotion required. You articulate here very well what I've always felt about these somewhat artificial holidays. My sister, who lives in Holland, told me that some of expat friends were shocked that she and her husband don't celebrate Valentin's Day. But as my sister said, and I can attest, they love each other, and every day is Valentine's Day. I've always felt that making one day special meant that you could be neglectful and forgetful the rest of the time, and I've seen this to often true. Giving Mom flowers one day of the year, while taking her for granted the rest of the year. I often brought my Mom a flower from the garden for no reason, just because. And you're absolutely correct compare sibling rivalry to office politics. They spring from the same root. Mother’s and father’s days result in a card and maybe a phone call in my family. Enjoyed the observations made. Dreams can be tricky. They work better in stories, than in reality. But I spend so much time attempting to discover meaning from them. My mother always said 'I don't want a present', but we would turn up with cards, flowers and give her lots of love on that day. Now I really enjoy it when my son remembers. He's given me a voucher for pampering at a spa and I am thrilled! I don't usually get a present, so this was particularly nice. Expect nothing, but accept everything is my motto. I seem to recall my mother saying the same thing, that we, her children, don't have to do anything special for Mother's Day. But I'm pretty sure we always did, my father too. At least I hope so. 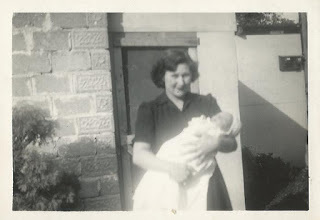 My own mother deceased, the day is a bit less significant. For most of my life, she lived more than a thousand miles way. My wife, a mother, not remembered by her children. But I remember. At church, I baptized two infants; they being their own celebration of Motherhood. Mother's Day for those of us in Australia falls on the second Sunday in May, which was yesterday, Fazlisa. Your son sounds like a wonderful soul to have treated you so well. That's a thought, Andrew, the word 'exterocet' from my dream as the place you go once you've seen the last word on the WWW. It reminds me of the notion of infinity. I remember as a twelve year old when I first came in touch with the idea of things going on forever. Scary. I recognise that many families use Mothers Day in the way you describe. I suppose then it depends on the family and how close members might be. I'm sorry that family is too big and too conflicted to manage such a get together. Thanks for the Mothers Day greetings, Maggie May and the same to you, when you celebrate said day. You have it i one, Elizabeth, the secretive nature of Mother's Day, which I tried to out in this post. It applies to my experience, though I recognise for others this day can be much more of a positive one. For us clearly not, but for others a celebration. Well, Kath, I wonder, what did you get for Mothers Day. The home made card or the flowers a la your mother's requirement? I'm pleased to say I received nothing in the form of bought gifts, only indirect love and a recognition of the pressures we're all under. I'm with you Jane. 'Bah humbug to commercialism.' Do you know that's the first time I've had the origins of Mothers Day explained to me? And it makes so much sense. It's more of a reciprocal event – the children needing to go home from service to have their family roots recognised. And the idea of a gift of simnel cake is wonderful. Though I'll have to google re simnel cake to work out what it entails. Commercialism can take over, Karen, and reduce many a ritual to a superficiality that is bothersome. As you say even Easter becomes a time for gift giving like Christmas, with all the pressure that entails. It's also hard when multiple rituals coincide, for instance for those born close to Christmas. My husband's birthday invariably falls a few days after Father's Day, too, as for your husband, but given we have not made such a fuss either of Mothers or Fathers day, our children tend to acknowledge him with words on Father's day and gifts for his birthday. I'm big on birthdays because they tend to apply more for the individual concerned. The universal events tend to mean less to me than the idiosyncratic. I agree, River, better the personal cad, small home made gift or gesture than the commercial pressure to spend spend spend. It's easy to muck up the dates, Susan, especially when we feel ambivalent about such dates. I suspect your son would understand your confusion and forgive you. To my mind his phone call out of the blue to say hello is a million times better than the compulsory one for Mother's Day. It's much more meaningful. I sent my mother flowers. I did not call her. Aren't all holidays seemingly compulsory? My mother used to drive me crazy when it came to presents. I'd ask her what she's want. She'd say, "Surprise me" "Are you SURE you want me to surprise you?" "Yes, Yes!" "you can't even give me a hint?" "No! It's no fun if it's not a surprise!" So I'd inevitably surprise her, she'd inevitably ask for the receipt, so she could take it back and exchange it. Do ask your mother about the photograph. Later (when she is not there any more) you will realize why it is important. When the dialogue stops, the book is closed, only open questions remain. Now is the time to ask, ask, ask. However much you might have been conflict it will give you peace. Forgiving is the most difficult thing on earth. I have had endless discussions on this. Do try to forgive your mother. She is unique, hand made so to say, and a human being with all her ups and downs, positive and negative. She is fragile now, your time with her will pass by so quickly …. I like the name, Jimmy, Jim, though the one Jimmy in my life happens to be my now sadly dead brother in law. He took to calling himself James several years ago, as a measure of growing up I expect. He was/is the youngest. As for gift giving. I agree, there is no such thing as a gift that's obligatory not in the sense that gifts ought to be. I've stopped buying obligatory gifts. if an event calls for one these days, except for babies, weddings and small children I simply won't buy one. I did not give my mother anything on Mother's Day but by chance I visited here. And she said to me as she pointed out the flowers some others of my siblings had given that she does not believe in Mother's day. It must have been hard to miss out on your daughters growing years. at least now you have more contact, however limited. As for naming in laws as Mum and Dad, I cringe at the thought. My in laws have always been Mr and Mrs to me as have my parents been Mr and Mrs to my husband. It's not about formality but more an effort at some sort of distance. There's a long story there too. So you have two daughters, Joanne, and each so different one from the other. I'm inclined to agree with you. it's all about what works within your own idiosyncratic family dynamic. So Ms Sparrow, despite your blog name, your love is first and foremost for your children and grandchildren. I'm the same way inclined. Our progeny and their progeny tend to come first. I hope you enjoyed your Mothers day. A sad legacy here, Ellen. You've done well not to follow in your mother's footsteps. I appreciate your honesty, too. Your story is one that reinforces my view that it's unfair to impose a day called Mothers day on everyone. I suppose not every mother has earned the recognition the term Mother's Day implies and it's awful when some people are forced into some sort of charade simply to keep up appearances and pacify the narcissistic needs of their parents. I'm not one to celebrate Valentine's Day either, Art. And that day can be even worse for some people who feel terrible when they don't have a Valentine. Valentine's Day has become more of an event here in Australia. In years gone by it hardly featured, whereas Mother's Day has been a big thing for as long as I can remember. I prefer to conduct my personal relationships on my own terms and not have commercial interests or the media and advertising dictate the terms of how I honour my loved ones. I spend a lot of time trying to find meaning in my dreams, Anthony and I agree they are tricky. In a strange way rituals like Mothers Day tend to be easier. 'Expect nothing, but accept everything is my motto', seems like a good notion, Juliet. I think the gift that is geared towards genuinely giving pleasure to the recipient , whether flowers, chocolate or spa is perhaps better than the awful stuff that people can sometimes give, like soap or underpants or deodorant. I'm half joking here. I'm glad you enjoyed your son's present. It's good to see you again Zuzana. I, too, find it hard to get around to visiting other people's blogs as often as I'd like. These events must seem odd to you having been raised in a place where they were not honoured. And I'm not surprised your sick of valentine's day. to me it's one of the worst days as far as commercialism and pressure os concerned. Once our parents are gone -K-, it's then we might reflect more keenly on these events, such as Mothers and Fathers Day, and like you, we might hope we honoured them well enough. Your bear hugs are wonderful Rob-bear, and your short reference to your now departed mother and your two infants poignant. Perhaps it's the business of parenting and childhood we need to honour first and foremost. You acted, Ms Moon – sending flowers- rather than with words. I can understand that. At least you tried, which is perhaps more than your mother succeeded in doing at a certain and very vulnerable time in your life. Now there's a double bind if ever there was one, Kirk. It borders on cruel. Perhaps you did not experience it that way, but I think it's important if people want surprises that they accept whatever comes, otherwise they can better direct you, and no receipt need be provided. Ah, Jacoba my friend in holland. I have asked my mother about my baby photo and we discussed at length who it might be. I am keen to forgive, but only when I have reached a point of understanding. I think I'm there with my mother, but perhaps not with certain other people in my life, mostly outside of my family. To me, forgiveness needs to be earned to some extent. To me, forgiveness is a two way street. Thanks for your good wishes, Jacoba, so special as they come from you and all the way from Holland. Since I have a good relationship with my mother, Mother's Day has always been a sweet, fun event. Father's Day is usually hell for me, loaded with baggage and guilt and all that other BS. I suppose for people who have complicated relationships with both parents, neither day is much fun. Obligatory recognition of a family member who might have made some major mistakes doesn't sound like much of a good time to anyone, I think. I agree about the commercialism but we have so little ritual in our modern lives that as I get older i am happy to embrace these "nominated" days on my own terms. Mother's day was an excuise to go out as a family – something we doo frequently anyway but this one had a little more focus to it. Birthdays, anniversaries, cultural days, home made excuses for celebrations and gatherings – I'm for any excuse to celebrate. I'm also for variety and the idea of 'special'. Anything other than every day is the same as the next. I think our generation got a bit too 'pure' in its analysis of ordinary things. My kids taught me to love sport again; my kids taught me that Christmas can be personal and special (in its secular and its christian sense). I've enjoyed embracing thse rituals again. Renee, it's lovely to see you here. I've just been over to your blog and read your post on mother's day, so different from mine, given your mother's ministrations when you were sick and your daughters' care for you and from you. It is such a beautifully written and poignant piece. My eyes are filled with bittersweet tears. But you survived to see the day when your daughter/s were/are taller than you. Thanks for visiting here, Renee. I'd have left a comment at your blog but I could not get through the word press gizmos, though I tried. At least now I can follow you. Kath, I shall respond in full to this wonderful award as soon as I can, hopefully in the next couple of days. I agree Tracy, the experience of parents days, mothers or fathers depends in large part on the timing and the nature of the relationships a child has with both parents. For many though it is one of ambivalence at least with one or the other, as you so aptly describe. Mothers Day works for you but not Fathers Day. Neither really work for me. I agree, Little Hat – how lovely to see you ere again – rituals are important. I also enjoy the fact that they take the ordinariness out of our lives. Time markers perhaps. I agree, too, that in our youthful enthusiasm to knock away old icons we may have mistakenly tried to do away with important rituals. But, despite our best efforts, they persevere. As do we. Is that a typographical error? Did you mean to type (spend money? Or did your mother really say what you wrote? As I have a lot of time on my hands these days and am more than willing to serve as your surrogate mother (even though I am male), please send all of your money to me at your earliest opportunity and assuage your barely-suppressed guilt. Next Next post: Not for me cold tea. I much prefer it hot.